I’m a big fan of fur, and that’s no secret. Adding a fur vest, jacket or bag to any outfit will take it from blah to brilliant! With that said, I know not everyone likes real fur – whether it’s the practice or the price, it’s certainly not for everyone. 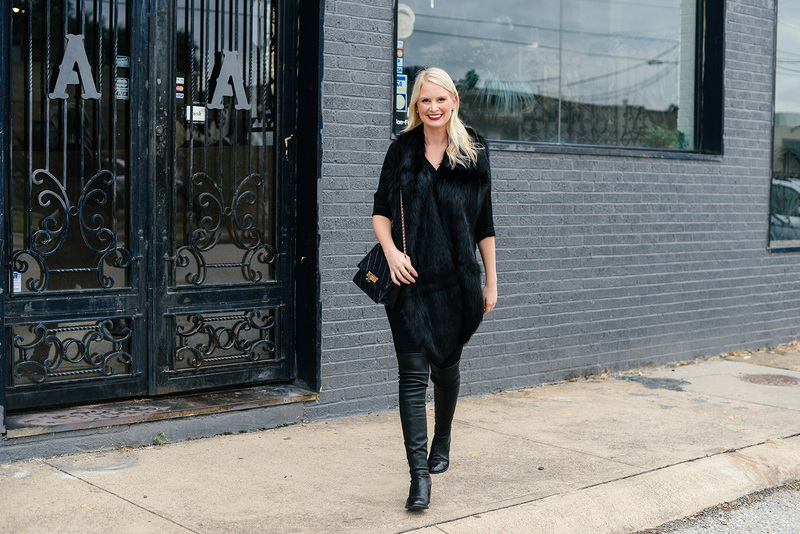 For years, I’ve tried to find high quality alternatives to my favorite fur vests for my readers, only to come up short and have the vests feel icky and not anything like the real thing. It’s very frustrating! 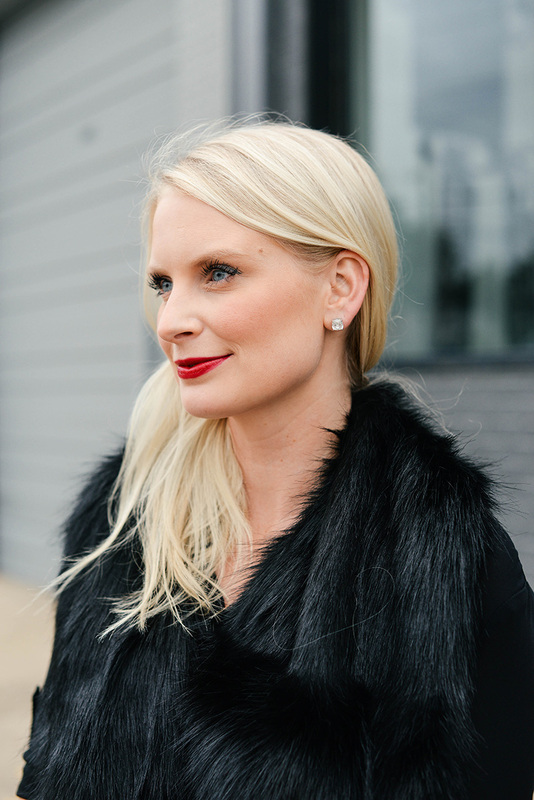 I recently saw this black faux fur stole at Nordstrom and there was something about the texture of the fur that inspired me to try again. Guess what? I was right! This black faux mink stole is the closest copy of real fur I’ve ever found. The fur is glossy, not rough, and it is sooooo soft. Could’ve had me fooled! I love it in black and enjoy styling it as a vest, but it also comes in three other colors! Did I mention it’s only $120? I’m all about statement staples like this, especially at such a great price point. Shop more gorgeous winter accessories this season at Nordstrom! A few more items I’m loving include this oversized cashmere wrap, this autumn plaid scarf, and this classic cape (under $60)! You look stunning in all black. That stole is amazing!! Such a great find! You look absolutely beautiful! That red lip really suits you. This is such a posh look for the holidays! What a great find!! This stole even has the look of real fur, it’s beautiful!! Such a stunning all black look. Love the vest!